Carillon’s approach to client support is unique in that clients have direct access to their own personal support team with whom you’ll be able to build a personal relationship. When you call for support, you will speak with the developers of the system who can provide you with exceptional support about your specific system and how you are using it. A software developer, who builds any customizations you request. – The advantage of having a developer on your team is immeasurable. Imagine being able to ask actual developers of the software specific questions like how to best utilize Carillon’s capabilities. Think about what resourceful information developers could relay to your staff about enhancements, upgrades, or integration with other software. With the assistance of a developer, all of your users will feel comfortable while working with the new software. A management team member, who oversees all relations with your organization. – Successful implementation is all about experience, whether it’s installing software, speeding up and smoothing out the entire process or meeting clients’ needs. We provide you with a manager who has the expertise you need. Your manager will evaluate your current system and advise the best way to implement changes. A quality assurance staff member, who can test scenarios and answer support questions. You choose who on your team to contact on a call-by-call basis. Carillon ERP has so much functionality built into the core system that there is rarely a need for a third party add-on. However, when you need support for the interface of an authorized third party add-on, you can just call your Carillon support team. We’ll get you the support you need. Customizations made by local dealers of other ERP systems that prevent you from upgrading are unwise and ill advised. They make it almost impossible to upgrade to new versions and support for the customization can be problematic as time passes. When your Carillon ERP support team builds an enhancement for you, it gets built into the core Carillon ERP system. The functionality becomes part of Carillon ERP so we support it like any other part of our system. Our clients are able to upgrade to new versions in a matter of minutes, even if extensive enhancements have been made for them. ERP software cannot be successful unless each user receives adequate instruction. We provide you with the in-depth instruction you need by offering exceptional on-site instruction sessions. We also provide both over-the-shoulder user instruction as well as train-the-trainer instruction. 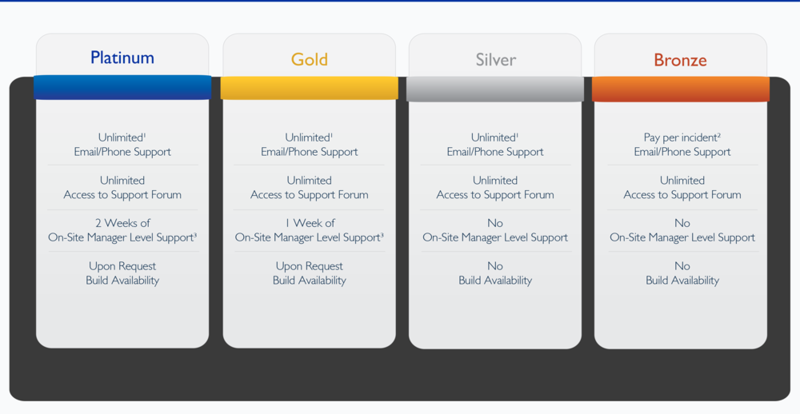 Carillon has one of the most robust ERP online support forums available at www.carillon.info. Every client has access to the forum and can post enhancement requests and questions to be answered by a member of the Carillon support team. Our phone and email support is second to none because the person who answers your questions will be knowledgeable about your business. Because we provide you with your personal U.S.-based support team, you’ll never need to deal with call centers or long wait times. Carillon offers very flexible support plans for our ERP software. You can choose from four different support packages, which have varying levels of support based on your organization’s needs, or you can receive support on a per-incident basis. ¹ The ability to make “unlimited” calls (for two contacts) presumes a proper amount of instruction in the use of the system has been obtained. ² Incidents that are ultimately determined to be “bugs” (in the sole determination of Carillon) will be refunded. Incidents are defined to be a single reported incident. ³ Does not include out-of-pockets related to travel.